Years ago, spreading rumors about RFID microchips being implanted in humans would be enough to get you branded as a wild “conspiracy theorist”. Those days are long gone. Now the microchipping of humans with RFID chips is so mainstream that television commercials touting the benefits of the technology are being produced. As you watch the super creepy television ad posted below, ask yourself this question: Could this technology one day be used for the Mark of the Beast? Specifically, the television ad is for an implantable RFID chip known as Health Link. It is about the size of a grain of rice, and it is inserted just under the skin and it enables medical personnel to pull up medical information quickly during an emergency. This technology is especially being touted for elderly people who live alone or for those who suffer from dementia or other mental illnesses. While those purposes may sound quite noble, the reality is that implantable microchips also have the potential to be radically abused by tyrannical governments who wish to track, trace and control their populations. Many Bible prophecy scholars have speculated that this type of technology may one day be used for the Mark of the Beast. In any event, if the following recently discovered television commercial showed up on my television I would find it more than a little creepy. What do you think about this video?…..
RFID Microchip Implants That Detect Bio-Threats? An implantable RFID microchip implant that can detect the swine flu or other bio-threats in your bloodstream? That is the ambitious new goal of VeriChip corporation. VeriChip currently markets RFID microchips that patients can have implanted under their skin that contain a link to their medical records so that doctors with a special reader can access their medical information even if the patient is unconscious or unable to be identified. So far VeriChip is the only corporation to have such an implant approved by the U.S. Food and Drug Administration. But now VeriChip is seeking to expand their technology in dramatic new directions. The goal for this new chip is to develop an implant that can not only recognize the presence of a bio-threat, but that can also diagnose what virus is infecting the host. Now, many Christians may overreact to news such as this and declare that the Mark of the Beast is at hand. But this is most definitely NOT the Mark of the Beast. 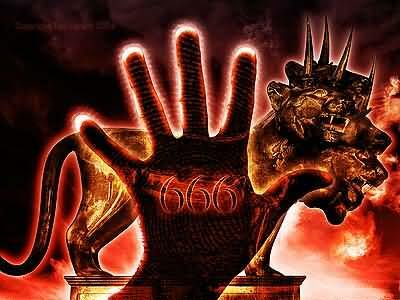 But it is another step in the development of the technology that could eventually be used for the Mark of the Beast. 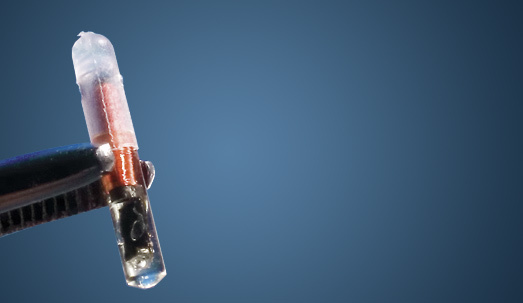 In any event, as the public acceptance of implantable RFID technology increases, the reality is that it will begin to be used for more and more applications. Someday you may be faced with the choice of having to take an RFID chip to keep your job. It may not be the Mark of the Beast yet, but are you willing to take a chip under any circumstances?